Gokyo Valley Trekking is a fabulous trek that envelops the perspective of great Everest (8,848m), Lhotse(8511m), Makalu (8463m) and Cho Oyo (8021m) which are obviously noticeable from Gokyo Ri above Gokyo Lake and numerous more other encompassing peaks , icefall off the Ngozumpa Glacier-biggest icy mass in Nepal, mountain lake landscape and numerous more endless essential perspectives. A standout amongst the most wonderful elements is the perspective of the colossal ice situated in Khumbu district. This ordinary trek genuinely is a gift that offers the best of this area. Gokyo Valley Trekking starts following a thirty five moment flight from Kathmandu arriving at Lukla's small airstrip. At that point, the experience truly starts in the wake of taking after a trial along the bank of Dudh Koshi River and coming to the Namche bazaar. We have rest days in Namche bazaar that will permit us to acclimatize, Also at Namche we will have collaboration amongst the mountain individuals otherwise called Sherpa's, well known for mountain climbing and adapt with these delightful individuals and we stay at neighborhood cabins and trek into the heartland of their towns. Everything is sorted out in collaboration with neighborhood Sherpa guides. Along the trek we will pass Buddhist cultural and great views of mt.everest and many other snow mountains getting nearer everyday, which is vital. After the trek to gokyo Ri (5,483m), and having a nearby perspective of heart softening mountains we return at a relaxed pace back to down the velley and Lukla fly back to Kathmandu. Gokyo valley trekking is the most astonishing trekking course, in light of the fact that, the trail takes after nearest to the Everest base camp. In the wake of having two night stay for acclimatization at Namche,there is an option course to customary trails to the Everest base camp. .Separated, from this, this is similarly mainstream for the cordiality and the glow offered by the neighborhood Sherpa individuals inhabitating in this little mountain town. Every stop in Gokyo Valley Trekking has its own particular appeal and excellence. This trek genuinely highlights everything Khumbu and Everest base camp trek bring to the table and is a fabulous excursion for those looking for an extensive variety of perspectives, nature and landscape amid their undertaking. Day 02: Kathmandu: Sightseeing and trek readiness We visit four UNESCO World Heritage Sites today. These incorporate Durbar Square, the sacrosanct Hindu sanctuary of Pashupati Nath, the acclaimed 'Monkey Temple' (Swayambhunath) and another Buddhist hallowed place (Bouddhanath). These legacy destinations hold enormous social, religious, design and verifiable worth for the Nepalese individuals. . Overnight at Kathmandu. Day 04: Phakding to Namche Bazaar (3,440 m/11,283 ft): 5 - 6 hours Our trail pushes ahead nearby the Dudh Koshi River. Amid the trek we cross a few suspension bridge and pass a few towns, religious communities and chortens. We can appreciate a decent perspective of Mt. Thamserku from Benkar town. 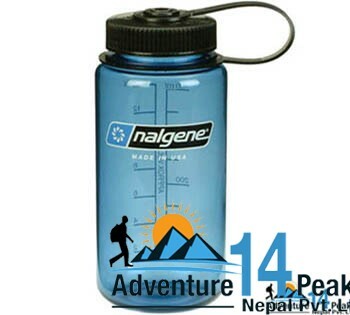 Our trekking grants will be checked at Monjo as we enter the Sagarmatha National Park. A plunge and a steady walk conveys us to Jorsale, the last town until Namche Bazaar. The walk is charming through a stream quaint little inn achieve the Hillary Suspension Bridge. As we ascend towards Namche Bazaar, the eminent sights of Kwangde Peak, Kusum Kangaru peak , Mt. Everest, Lhotse, Tawache, and numerous different fantastic mountains welcome us. Overnight in Namche Bazaar. Day 05: Namche Bazaar: acclimatization Acclimatization is vital for us to conform to the slow change in environment. It will likewise help us to avert getting Acute Mountain Sickness (AMS). Today we climb to Khumjung towns, appreciate the Himalayan vista from Syangboche or visit the curious roads of Namche Bazaar. We can likewise visit the Tourist Visitor Center where we can see an assortment of things identified with the primary Everest ascenders and Sherpa society. 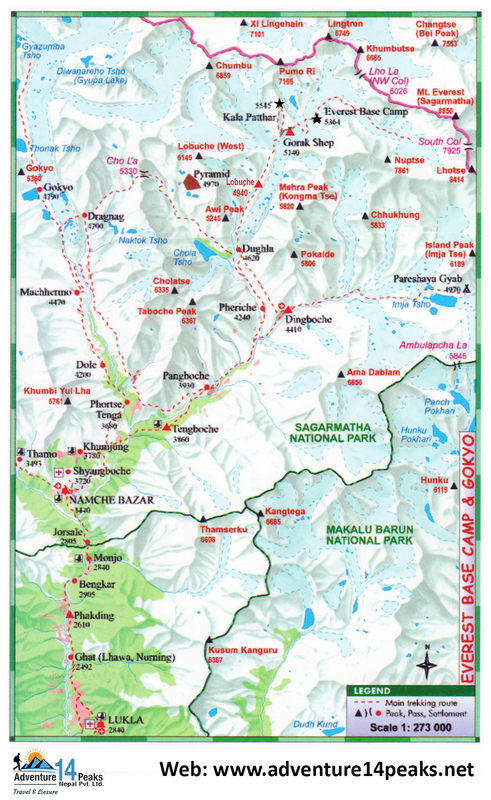 This visit will likewise get us familiar with different plant and creature life of the Everest area. In Khumjung we can even visit a religious community that houses a sasquatch scalp! We likewise move up to the airstrip above Syangboche and appreciate mind blowing perspectives of Kongde, Thamserku and Khumbila mountains. We stroll back to Namche Bazaar to spend the night. Day 06: Namche Bazaar to Phorse (3810 m/12,496 ft): 5 - 6 hours We leave Namche Bazaar on a trail with continuous good times. In transit we are prone to spot Himalayan birds, musk deer and Himalayan Thars. We then start dropping to Kyanjuma. From Sansa, we take after the Gokyo trails and from Mong we get a look at Ama Dablam, Thamserku, Tawoche and Khumbila mountains. Our trail dives to Dudhkoshi Khola after which it is a tough move through rhododendron woodlands before achieving Phorse. From here we get great perspectives of Tawache and Cholaste mountains. Overnight in Phorse. Day 07: Phorse Village to Machhermo-(4,470 m/14,663 ft): 5 - 6 hours In the wake of traverse the Dudh Koshi River, we are liable to encounter neighborhood untamed life like birds, mountain goats, and musk deer. Our trail goes through woods, waterfalls and scaffolds before achieving Dole. We hop on a relentless trail through a beautiful edge with perspectives of Cho Oyu, Kantega, and Thamserku mountains. We climb from Luza town and stroll over the Dudh Koshi River. We keep strolling through little towns and sandy trails before achieving Machhermo. We can visit the Himalayan Rescue Hospital for an address with respect to elevation affliction, its insurance, and essential treatment. Overnight in Machhermo. Day 09: Machharmo to Gokyo (4800 m/15,744 ft): 5 - 6 hours We rise on a slope and appreciate perspectives of the Dudh Koshi valley and Kangtega, Thamserku and Cho-Oyu mountains. Past the edge the valley broadens as the trail goes through a Chorten and achieves Phangga. We dive to the stream bank before scaling to the terminal moraine of the Ngozamba Glacier on a precarious trail. We go through Longpongo, Raboche Tsho and Dudh Pokhari before achieving Gokyo. On the trail beside the primary lake, we see what is accepted to be the impressions of a Lama (Buddhist cleric). We investigate Dudh Pokhari before throwing in the towel. Overnight in Gokyo. Day 10: Gokyo Valley: Climb Gokyo Ri (5357 m/17,570 ft) and trek to fifth lakes: 5 - 6 hours We spend one more day in Gokyo to adjust to the high elevation. In the event that the climate is great, we climb Gokyo Ri today. From the highest point of Gokyo Ri we appreciate the Himalayan vista and the quiet Gokyo lakes. We additionally climb to the fourth and the fifth Gokyo lakes. The fourth lake is just around 3km north of Gokyo. It is set apart by high precipices and Himalayan peaks transcending it. We keep on walking somewhat further and achieve the fifth lake. A move up an adjacent slope will promise us astounding perspectives of Cho-Oyu, Gyachung Kang, Everest, Lhotse, Nuptse, and Makulu. We can see significantly more from here - the spot is called Scoundrel's Viewpoint. From the northern part of the fifth lake we see the Cho Oyu base camp and Ngazumpa Glacier which is the greatest icy mass the world. We stroll back to Gokyo to spend the night. Day 12: Dole to Namche Bazaar: 4 - 5 hours We plunge on a lofty trail to Phortse Thanga respecting rhododendrons, wildflowers and waterfalls. We additionally go over mountain goats, musk deer, fowls, and so forth. From Mong, we can appreciate a decent perspective of Khumbila top. On our approach to Namche the perspective of Taboche, Ama Dablam, Thamserku and Kangtega mountains are our own to appreciate. In the wake of strolling for some time, we achieve a convergence where the trail from Sanasa meets our trail. We stroll on a trail that sticks to a forested incline past Kyangjuma, twisting through a few twists. In the wake of achieving Namche armed force camp slope, we think back to see Lhotse, the tip of Everest and Tengboche for one final time. Around a kilometer from here is Namche Bazaar. Overnight in Namche Bazaar. Day 13: Namche Bazaar to Lukla: 6 - 8 hours We drop on a rough trail and cross a few suspension spans before strolling on a leveled trail. The air is hotter as we stroll on the same trail to achieve Lukla. Our trek in the mountain closes after we achieve Lukla. We invest our energy thinking back about our time spent in the mountain. Overnight in Lukla. Day 14: Fly to Kathmandu We fly back to Kathmandu in the morning After achieving Kathmandu we have the rest and shoping in thamel Overnight in Kathmandu.